I thought that the color of the dust seal was flashy (orange), but when I installed it I felt it was not bad. There is no problem in trial run. The rest is durable. This review is about item#34728224. As for the hub bearing of the bike, C3 clearance is common sense. There is no inferiority in the same item as the stock, and it is very helpful that it is cheap. This review is about item#34728206. No seal Sealed felt and felt seal soaks in oil or gets wet due to rain and rusts Purchase rubber seal type. The selection is correct and currently in use in a separate mission, and the result has been obtained without any problems. I want to buy it again next time. This review is about item#34728233. There is no inferiority compared with genuine parts. As price is less than half, cost performance is good, too! It becomes free shipping if you buy a pilot pooler. This review is about item#34728215. It is a repeater. It is cheaper than genuine and you can choose the type and the product is also correct with NTN. This review is about item#34728181. I can use it without any problem as usual with other companies' products. We assembled to the original wheel of address 125. 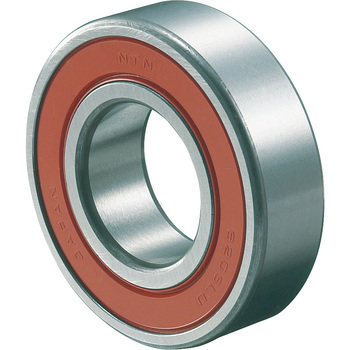 In the press fitting work, I struck the old bearing and inserted it. I was worried about rolling resistance with two side contact seal (LLU) × 2, but it seems that resistance does not increase, in particular. I made it cheaply made in Japan, so I am very satisfied. This review is about item#34728172. Made in Japan products are good for running people. Also, thank you. This review is about item#34728197. 08 Signas X Used for wheels in Japan specifications. From NSK, personally it is good. Exchange at 30000 K. LLU and get lost here. It is a reliable domestic manufacturer's product, safe and secure.